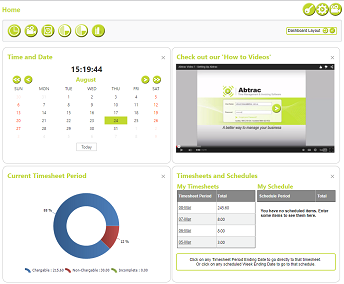 Each Abtrac user can choose how their timesheet looks. Linear Timesheets are line by line, with dates on the left. Tabular Timesheets group similar entries together, and have dates in a table on the right. Both types of views you have the choice of entry through either the form view or grid view, and with all views, you can show, hide and change how you see the columns in the user control settings. Abtrac client contacts search screen is the first point of call to quickly look up details about any client, contact, or person. Once logged in you can click the following link to see the page, or go to Clients, Contacts & Jobs then Search People. Use this screen as your contact management or phone book and search most fields related to a client person. With AbtracOnline you can assign a different status to an invoice so your team knows where you are up to with its creation. Examples of these statuses can be Draft, Returned for Edits, Approved, Committed. This is helpful when there is a team of people creating an invoice but one final person signing off on the contents of the invoice. AbtracOnline can be used anywhere you have an internet connection. If you have people working on-site, in different offices, or working from home they can all access Abtrac without needing to connect to your local network via VPN. With API connections available from MYOB, Xero, 12d Synergy and others you can easily sync your information from Abtrac with these other packages. 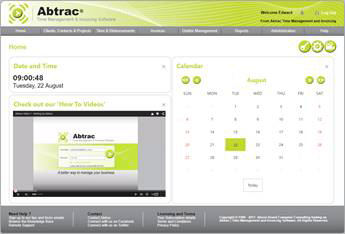 In Abtrac you can create a detailed progress claim invoice automatically from your project task and timesheet data. Automatic Progress Claim invoices can be generated by amounts to look like the examples below.